October is my favorite month of the year for various reasons. It marks the start of many upcoming hunting/furtaking seasons, the weather starts cooling down, but the main reason is simple. I can watch months of training come together. My dog and I have spent many hours together practicing; preparing for the commencement of the season. The moment my dog spots me break out the orange vest and the pump, he gets just as excited as I do. I may be a little bit biased because there are a lot of great breeds. 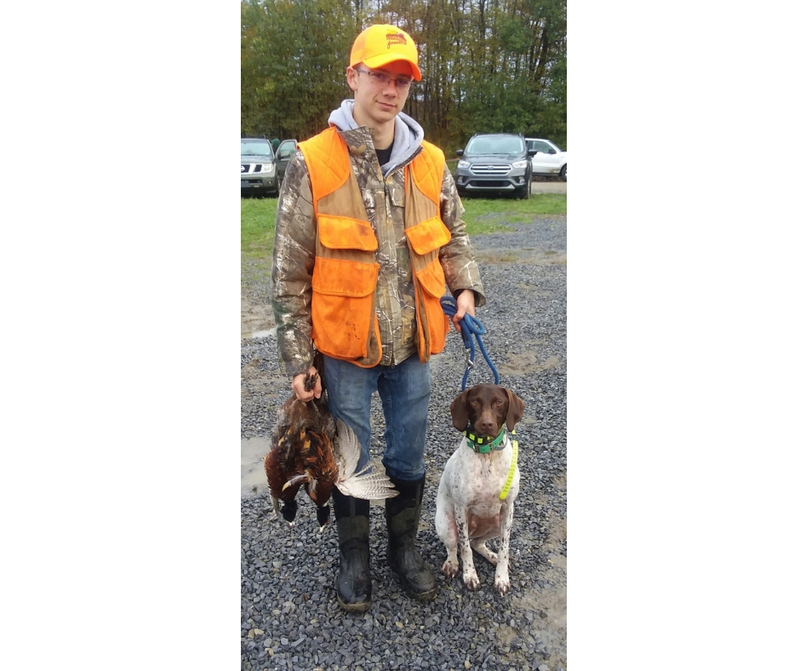 Of all the upland bird dogs, I am partial to the pointers, specifically the German Shorthair. All hunters have their preference, such as a friend of mine, who prefers Weimaraners over Shorthairs. Each breed has its strengths and weaknesses, but I believe Shorthairs are a superb all around dog. They are good companions and posses many of the necessary traits of an exceptional hunting dog. One feature that all hunting dogs have in common, is that none of them are born ready to hunt. I begin work with my dogs, as many handlers do, the same day we bring them home. Any dog, whether it is a hunting dog or not, learns through repetition. I start with basic obedience and slowly work my way up to actual hunting. When I first obtained my Shorthair, I had no idea what I was getting into. Thankfully local handlers helped me along and gave me advice. Quickly I realized that they require training every day, and the more time someone puts into a dog, the better the dog gets. In general, I start off a day’s training with a review of obedience and basic commands. Then time permitting I will pull out a few chukars or pigeons. We will practice through what I call “Bird Work”. Which basically consists of various situations and exercises to simulate and prepare him for a real hunt. I enjoy training almost as much as hunting itself. Hunting with a dog is an experience like no other, they really put their heightened senses to work when they lock on the trail of a bird. Everything the dog learned up to that point is implemented in his or her performance. 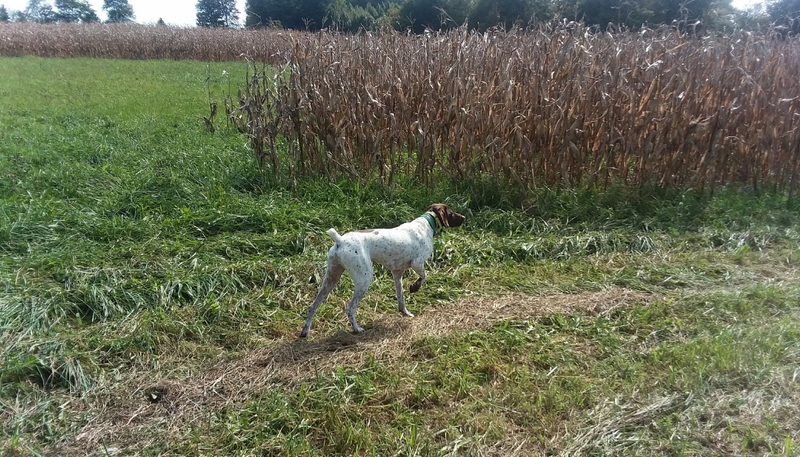 Not only is it imposing to watch a dog work, but upland bird hunting is almost always, a fast-paced, exciting hunt. Which certainly rivals sitting in a tree stand for hours without seeing anything! 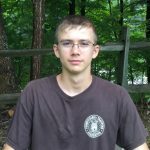 Going on an upland bird hunt with a dog is a great way to recruit young hunters, and for experienced hunters to have a good time chasing birds. I find it amazing what a dog can do with a little bit of training, although watching it come together is definitely my favorite part.